Delicious and nutritious: a mango a day is good for your body, a new study on women found. 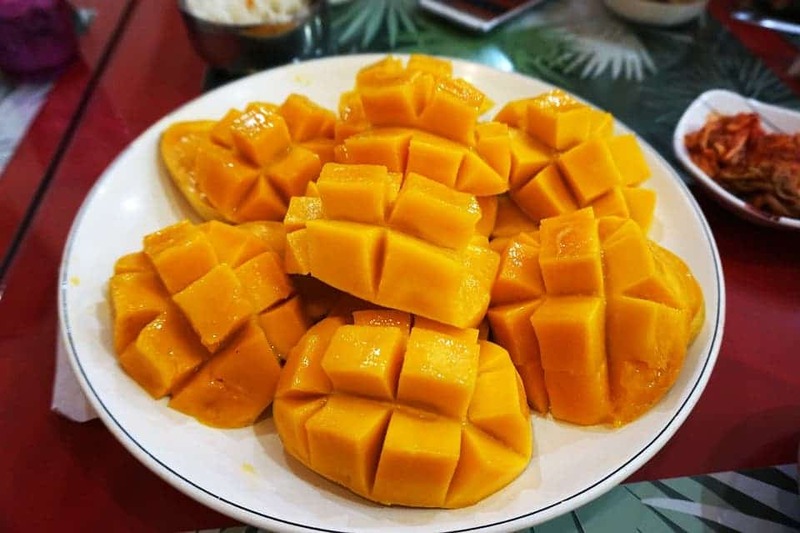 The study was carried out on 24 postmenstrual women, who consumed two cups (330 grams) of mango every day for two weeks, after which they resumed their normal diet, eliminating any mango consumption from their diet. Researchers found that systolic blood pressure was significantly lower two hours after mango intake, compared to the baseline value. Values for pulse pressure were also significantly lower. So how does the mango work its magic? Well, mangoes contain polyphenols, including mangiferin, quercetin, gallotannins, and gallic acid. These substances have long been suspected of having a beneficial effect on the human body, but these effects haven’t been conclusively demonstrated. While the study didn’t establish a direct causality, Hackman and colleagues suspect that these polyphenols are responsible for the improvement. For this study, researchers chose a particular type of mango rich in polyphenols (honey mango, often called Ataulfo). Researchers also measured levels of hydrogen and methane in participants’ breath, which are an indicator for microbial fermentation in the intestinal tract. Out of the 24 women, 6 produced methane. After consuming mango, 3 of them showed a significant reduction in produced methane, which is considered a healthy improvement. Of course, this study comes with several drawbacks. For starters, its sample size was only 24 women, which is quite small. Also, two cups of mango a day is quite a bit, and it’s unrealistic for most people. Still, results are encouraging, and seem to suggest that mango can play a significant role in a healthy diet. This is not the first study to suggest that mango consumption can boost the body’s health. Previous studies have found that it helps fight inflammatory bowel disease, obesity, and contains a wide variety of important nutrients. Results definitely warrant longer-term studies with a broader sample size, which researchers will look to carry out in the future. Journal Reference: Li X, Vanness MA, Holt RR, Horn WF, Keim NL, Keen CL, Hackman RM. Effects of two weeks of daily mango fruit intake on vascular function, blood pressure and gut fermentation in healthy adult women. The FASEB Journal, June 2018.